Tauren Wells, ex-lead singer of pop band Royal Tailor, unexpectedly stepped down and went solo a few years ago, much to everyone’s surprise. His debut solo album Hills And Valleys followed, which spawned the radio hits “Love Is Action”, “Known”, “When We Pray” and the title track; and this past week Tauren has dropped his latest single from the same project- called “God’s Not Done With You”. While you all can read my brother’s review of the album here (when he uploaded the review a couple of years ago! ), one could say that the release of this track maybe is overkill- after all shouldn’t Tauren be writing and recording for a new album by now? There’s 3 singles from Hills And Valleys already, why do we need a 4th? Well we may not need this new single, but after multiple listens, I reckon we do. Releasing this EP as a 3-version ‘single’ project of “God’s Not Done With You” (original album version, demo version and radio single version with just the piano! ), Tauren has reminded us of the simple and ever-true fact that if we’re still breathing and we’re still alive, Jesus’s plans for us aren’t finished yet. There’s still meaning and purpose even in the deepest valleys. We might not see it, but as Tauren eloquently highlights, all we need to do is to trust our Heavenly Father that He knows what He’s doing, and just lean into His presence. Musically this song is as radio friendly as can ever be (and the other 2 versions are similar as well), yet the radio-friendly vibe shouldn’t detract from the overall message- because it is a song that needs to be sung and needs to be relayed to us over and over again until we fully understand that Jesus has a plan for every single day of our lives- and that should bring us great comfort. 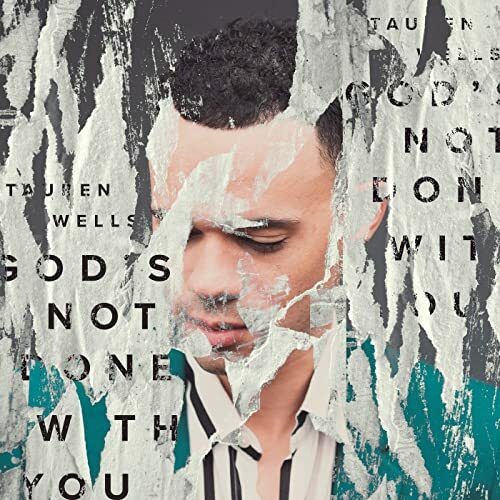 Tauren Wells’ latest single is a song we’ve all heard before, but a song we all need to listen to again in order for us to be amazed and enamoured by the God of the universe. It’s still a mystery as to why Royal Tailor really broke up, but nevertheless, Tauren’s subsequent album and single releases still impress, with his songs continuing to be on rotation on my iTunes playlist of late. Perhaps Tauren will release another full length album in the near future (I’m thinking late 2019 or early 2020)… but let’s just sit back, enjoy and let God minister to our souls, as we remember that ‘…God’s not done with you, even with your broken heart and your wounds and your scars…even when you’re lost and it’s hard and you’ve fallen apart…it’s not over, it’s only begun, so don’t hide, don’t run ’cause God’s not done with you…’.